Last year the weekly French magazine Le Nouvel Observateur published an interesting article about perfume creation called La Guerre des Nez (The War of the Nose). It featured a candid interview with perfumers Dominique Ropion and Anne Flipo and provided a table outlining the price breakdown for an average prestige brand perfume. The revelation is that in a bottle of perfume that costs 100 euros, the value of the fragrance concentrate is only 1-1.50 euros, or about 2-3 dollars. The rest is for marketing and distribution: 19.6 euros for value added taxes, 36 euros for distribution, 25 euros for ads and so on. I know all too well the economics of making a perfume, but seeing this table was still a shock. On the face of it, why would this be so surprising? Everyone knows about the hefty markups on designer clothing or premium wines. As the fragrance business became the major money maker for fashion houses, it started to follow the logic of profit margins. It would be naïve to expect anything to the contrary. However, it is a rude awakening to realize that the cheapest thing about a bottle of perfume is the element that has any true significance. The ad may attract my attention and the bottle may look pretty on my dresser, but the perfume is what touches my skin, becomes a part of my aura and my own scented signature. The fact that this is worth less than the paper on which the perfume name is printed simply does not go down easily with me. The topic of prices in the fragrance industry is still one of the most sensitive and confidential. Although reports like those published by Le Nouvel Observateur appear in the press, the conversation is restricted mostly to trade journals and conferences. Professionals decry the current state of affairs, remarking that if in the 1950s a perfume brand would be prepared pay around $300 for a fragrance (per each kg of fragrance oil), today this sum has been whittled down to the single digits. It is a given that the contemporary realities of retailing, distribution and raw material availability prevent most brands from spending hundreds of dollars on perfume. However, is it completely unreasonable for them to allocate enough money so that the fragrance concentrate value in Le Nouvel Observateur’s table registers not $3, but say, $6? If in the past perfume was a precious luxury, today it is as ubiquitous as mouthwash and deodorant. The only issue is that the retail prices keep rising without a commensurate quality increase. Of course, the price of fragrance concentrate is not the only measure of quality. It is also the creativity, the originality and the uniqueness captured in a drop of liquid. The issue of quality, however defined, is really the crux of the matter. The main problem I have with today’s perfume launches in all areas of the market, niche included, is that every brand tries to pass their product as a fine vintage, whereas most fail miserably. As a consumer, I cannot rely on prices to tell the gems from junk, as the latter is just as likely to be luxuriously priced and exclusively distributed. Criteria such as the newness, a fancy brand name, packaging or advertising do not help much either. The only way to tell quality in perfume is to smell it. I do not mean for this answer to appear flippant, because it is a fiendishly complex subject. By way of example, why do the perfumers in training study the highest quality aroma materials that their school can afford? Why does a perfumer trainee wishing to work on functional products nevertheless learn the nuances of floral absolutes and sumptuous amber synthetics? The idea is to form the base line and the sensitivity to quality early on. As fragrance consumers, we do not have many opportunities to train our noses by smelling precious essences, but there are other ways to learn about fragrance quality and the ways to tell the wheat from chaff. In the second part to this article, I would like to share my personal guidelines on how to spot a quality perfume. 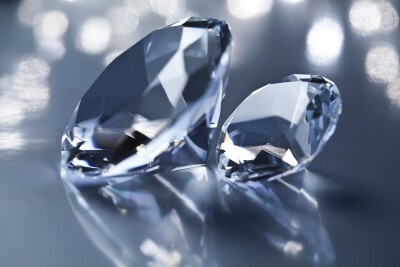 Image: Diamonds via 123rf stock images. Vanessa: Having worked in marketing myself, I was fascinated by this article. There was a bit of a cost analysis of perfume retail prices in The Perfect Scent, and I am always on the lookout for more such nuggets! zazie: The price breakdown of fragrance is a very interesting (and discomforting) topic. Thanks for the info! One might also assume that an “industrial” blending process impacts (favorably) on the cost of the juice with respect to the indie perfumer who mixes raw materials by hand. Victoria: The creative process is not taken into account by the price. At all! The client does not pay for perfumers’ time, for market tests, for research, etc. Only for the raw materials used in the fragrance concentrate. Of course, the oil houses factor some of these things into their raw material prices, but by and large, that’s how it works. The high prices of indie perfumes is not so much to industrial vs manual blending, but because they pay much more for their raw materials, packaging and other things. Tulip: The sweet spot – high quality and reasonable price! carmencanada: I imagine the Nouvel Observateur found those figures in Elisabeth de Feydeau’s “Le Parfum”, where they are tucked in the dictionary under the “prices” entry: a real eye-opener! Victoria: I’ve seen this table in other publications previously, and yes, it always shocks me. Will check Le Parfum for more details later. Victoria: Thank you! Glad that you found it interesting. I didn’t mean to depress, but you know, I find the degradation of quality to be really disheartening. It makes me very sad to see great house launch fragrances that really do not deserve their glorious names. mals86: V, I came by and read this earlier and got so darn depressed that I had to go fortify myself with some Parfums de Nicolai Le Temps d’une Fete before coming back to comment. I recently did some test-driving at the local mall perfume counter (for Ari’s Top 20 Bestselling in the US, based on your list), and came away disheartened by how synthetic everything seems to smell. Even the higher priced things (and my mall is distinctly lowbrow – the “luxury” perfume available is Chanel) smelled like labs instead of gardens. I think it is particularly noticeable with floral notes, though maybe that’s because I’ve been spoiling myself with florals from indie perfumers like DSH and SSS and Tauer, and with vintage florals from a day when even cheap-end fragrances had real floral essences in them. I have been whining about how expensive the By Kilian fragrances are, but at the very, very least, the florals smell like florals instead of chemistry lab (I scraped through college chem with a B, and I ain’t goin’ back, no way). Victoria: >>>Entire generations will grow up thinking that peonies smell like laundry detergent… it’s so sad. Thank you for putting it this way. 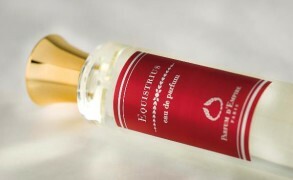 The trouble is that the perfume is seen as a frivolous luxury, so there is nothing in place to safeguard the quality. And the fact that the brands do nothing to educate the consumers complicates the issue further. Of course, if people could compare, maybe they would reject half of the things that appear in those Top 20 lists. sweetlife: People find this fact very hard to get their minds around. I had a little argument about it with one of my editors before she let me keep my reference to it in the book! I agree that the problem is people’s changing perceptions of what something is supposed to smell like. Mandy Aftel has often remarked that people are often baffled to find out what raw oils actually smell like, they’ve become so accustomed to the synthetic version. And what really worries me is that the chains of production will break down–that the farmers growing the flowers (often in relatively poor countries) will have no one to sell their wares to and will turn to other crops, including illicit ones like opium poppies and coca leaves. Victoria: Reference to prices, you mean? I actually do not think that there is a qualitative different between a natural rose and a synthetic rose. They are apples and oranges to me, and they serve different purposes. bloody frida: Thanks for this info, V. Yes, this is depressing. Every time I splurge on a bottle of perfume, my immediate thought is that I’m supporting the artists…I guess I am, in a way, but not quite the way I naively thought. sweetlife: Yes, the price of the perfume vs. ads/packaging. I was using the numbers Chandler Burr (and I think Luca and Tania, too) mentioned, the ratio of cost, just in passing, and with much qualifying, but my reader did not want to believe me. Undina: I read a long time ago about the actual cost of prestige cosmetics so I just always assumed that the same was true for perfumes as well. annemariec: Oh but I think cheap perfume has been around for a long time, like cheap lipstick and face powder. Admittedly if people could hardly afford to feed themselves they are unlikely to be buying perfume. But archeological digs of former slum areas in inner cities quite often reveal scent bottles and cosmetic jars and so on. It is just that brands have not survived and we don’t know about them now. Victoria: Your comment reminded me of stories my friend shared about working for women's charities targeting women living in extreme poverty in India. She said that first, they would ask for some food for their children and second, for the moisturizer/cosmetics! And my great grandmother shared how during the WWII, she and her friends would split and savor a single bottle of perfume. An elderly aunt who served in the army (also the WWII era) admitted to always carrying a lipstick. "It boosted my morale," she would say. columbine: i think it’s wrong not to count the R&D cost in the price of perfume. the people who worked to design the perfume don’t work for free. it’s like for drugs, it takes millions and millions for a pharmaceutical company to develop a new drug, and that is reflected in the price of the drug. I didn’t think of myself as naive in respect of the percentage cost of the “art” component of perfume but clearly I was. 1 – 1.5%. And after absorbing that little nugget of information I learn that the creator’s time and skill is not reflected in the perfume’s price, at least on this analysis. Back last summer I was turning over in my mind vague thoughts about quality after sniffing Elie Saab. I liked it but it did smell very synthetic especially when compared to his work for his own line (Francis Kurkdjian I think?). And then came Bottega Veneta restoring confidence in the notion of quality at a reasonable price. Even so I have been thinking that I need a trip to Patricia de Nicolai soon (love Sacrebleu, Vie de Chateau and Weekend a Deauville) as my attention was caught by Kiss me Tender last time. As you point out above – now there’s a sweet spot! D: This article should be included in economics courses! One of my favorite economic theory articles was called “The Price of a Lemon.” It explained why a new car depreciates the moment it is purchased by a consumer. People assume that a consumer resells his car because of some disatisfaction, and if a car is sold within the first year, it must be a faulty car. Therefore, they will only pay a discounted price to reflect the risk that the car is a lemon, regardless of what the consumer/seller says is her reason for selling. This article is the foundation of a theory which states that prices do not merely reflect supply and demand but are relied upon as signaling something (like quality) about the product. However, as “luxury brands” have become trademarks for mass distributed products (Mal found “Chanel” as a “prestige” brand at her local non-prestige mall) and the brands themselves are mere divisions in mass companies, it seems that those divisions do not even bother to make sure that there trademarks represent medium quality goods. In other cases, brands are sold from one corporation to another, with the buyer intended to discount the quality while hoping the former image will still attract buyers. (Remember when Anne Klein represented the height of womens’ business suits, something to be worn to the board room, but beyond anything seen in the mere weekly staff lunches, nor worn by middle-managers. department? No you don’t remember those legendary fine wool, elaborate clothes; well if you looked at the Anne Klein suits in your local mid-priced department store, you wouldn’t be able to even guess at that history. Let’s not even talk about those “couture” houses that market poor quality logo shirts and jeans to teenagers). Perfume seems to be at the forefront of this corporate strategy. Once, again, Channel (which I believe is owned by LMHV) was found by Mal as the one “prestige” item at the local mall, but alot of the juice is synthetic. Getting back to the price signals quality economic theory, I wonder if that will continue to be sustainable for the “luxury good” industry? If the degradation of what were once truly bespoke (in the literal sense of the word- custom artisan made) brands to justify slight higher pricing of mass produced goods is ultimately sustainable? At some point, don’t people notice that the polyester blend pant suit by Calvin Klein bears no relationship to that custom gown worn to the Oscars? Admittedly, in the perfume branch of this industry, the bespoke name is generally only valuable in advertising and at the counter. Unlike, a handbag which can display the logo as part of the hardware or design, once perfume is worn, it can display anything. It is a scent, and only the most sophisticated and sensitive noses can identify a fragrance by name once worn. (Don’t argue to me that this is easy, andyou can do this, you ARE that most sophisticated and sensitive nose; the general public can not). The average member of the public, is less likely to be able to identify a synthetic molecule than a synthetic fabric (which is actully on the label). Most do not even know that they can learn about fragrances, much less have any interest in doing so. If the juice smells nice (or more likely the top note) at the counter, then they may rely upon the brand for some representation of quality and style. This is probably why just about every brand *of anything in the world tries to market perfumes, and why some fragrance houses just rather use celebrities to provide that marker of quality and character. However, the really “exclusive” prices, however, now generally don’t belong the celebrity or mega luxury brands. LMHV’s premiere perfume brand (also arguably its most overpriced fragrance line) is By Killian, not Dior or Channell. In a sense, the luxury brands have already lost their price=quality cache to the specialized public. Victoria: D, thank you for your interesting comment! There are so many good points that it is an article in itself. I wouldn’t say that it is easy to recognize a perfume by name, especially when the majority of new fragrances today smell very similar to each other. And to recognize an ingredient–that can hard even for professionals, which is why perfumery schooling is so hard and timeconsuming. Victoria: The vanilla essence! I've read this in several wartime memoirs, and it always struck me as a very touching reminder of the need for small pleasures. Henrique Brito: Victoria, do you have the impression that this is going into the niche market too? My impression is that the line between what is called niche and luxury/massmarket is tenuous lately. Chanel showed that with Jersey and 19 Poudre last year. Victoria: $20-50 a kg is not even that cheap. There are fine fragrance brands that work on smaller budgets than Febreeze, but of course, they charge at the luxury level.